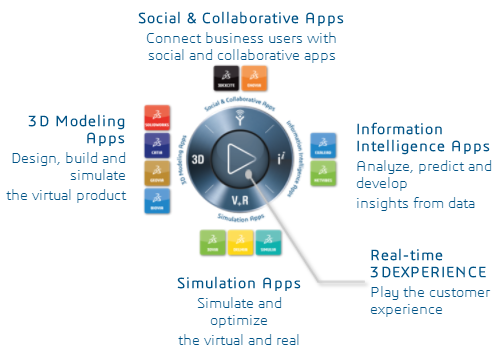 3DEXPERIENCE is Dassault Systèmes’s answer to the ever-growing and ever-demanding marketplace of today. While the main difference between Dassault’s CATIA V5-6 and 3DEXPERIENCE is their adaptation of a Cloud-Based & Data-Driven platform, there are some significant changes to their 3D Modeling Interface layout as well. We will cover those differences here. Upon opening the platform, you immediately notice that the interface has been completely re-vamped and has adapted a more sleek and modern look. Another striking difference is the new Top Bar. Instead of the typical Top Bar Menus (Start, File, Edit, View, Insert, Analyze, Window, and Help), you are left with some icons, a search bar, and the ultra-handy Compass. 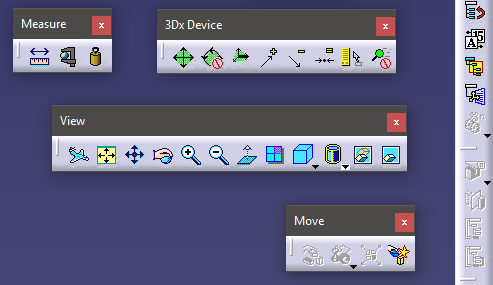 These icons essentially replace all the functionalities that were available within the CATIA V5-6 top bar menus. My Roles/Profile: Activate or Deactivate roles. This will enable and disable certain features and accessibilities for the user. 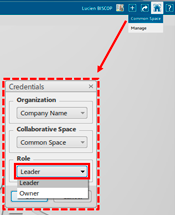 An Admin or Project Manager will assign these roles to each user profile. My Status: This denotes the user’s communication status for collaborative instant messaging inside of 3DEXPERIENCE. Statuses can be “Online, Busy, do not disturb, Be right back, or Away”. 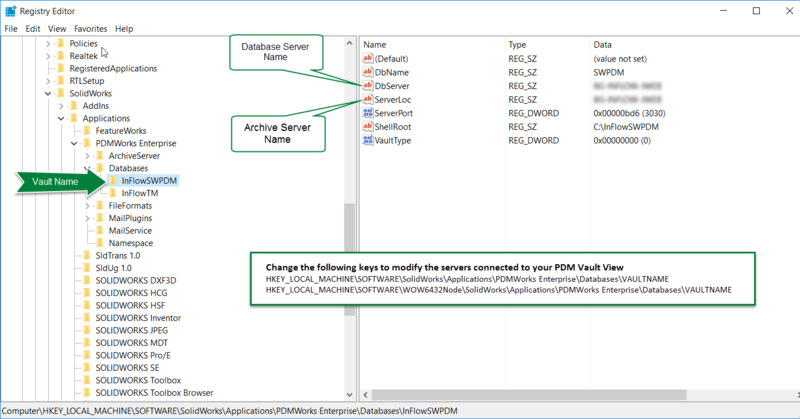 Preferences: Gives user access to customize actions, commands, toolbars, standards as well as access to the “Preferences” menu that is familiar to the V5-6 platforms. 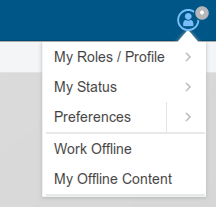 Work Offline: Gives user ability to complete work without being connected to the Cloud or Internet all together. This will limit the user to the 3D Modeling Apps. My Offline Content: View and manage offline content. Import: Import 3D XML 3DEXPERIENCE Native Files, CATIA files, and Non-CATIA-Native files (STEP, IGES, STL, x_t, etc). Physical Product/3D Part/Drawing: creates a new file of type chosen. Save: Save, Save with Options, Save All, Local Save. Share: Share data to Collaborative Spaces or to Community . 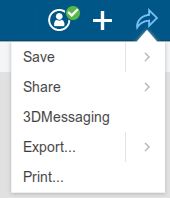 3DMessaging: Instant message with others on 3DEXPERIENCE. Export: export to 3D XML, STEP, IGES, X-PDM,and CATIA V5. Collaborative Space: Switch to desired Collaborative Space and Role within that Space. Manage: Opens the 3DSpace App. Get Started: Opens welcome window giving brief overview of platform. Help: Redirects to web browser that will provide help on current command. User’s Guides: Grants access to online or installed user assistance. Tutorials: Provides various tutorials embedded within client. 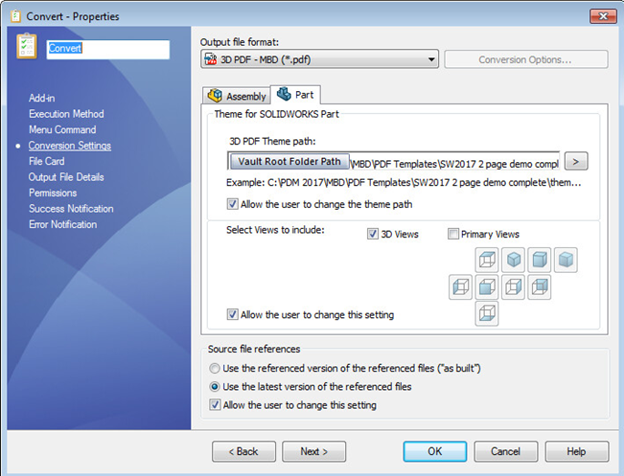 User Companion: Starts User Companion (if Computer-Based Training module and Companion have been installed), or routes to 3DS eLearning solutions page. 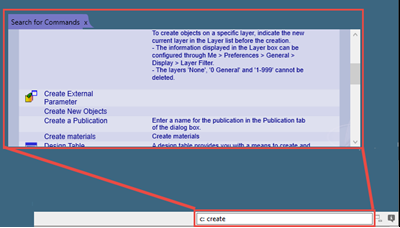 The search bar, or “3DSearch”, creates a unified user experience for finding information on the 3DEXPERIENCE Platform. 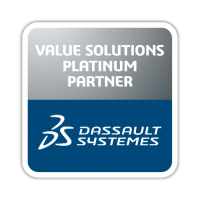 The 3DSearch is built on Dassault’s industry-leading Exalead CloudView technology and is available across all the applications and experiences within the Platform. 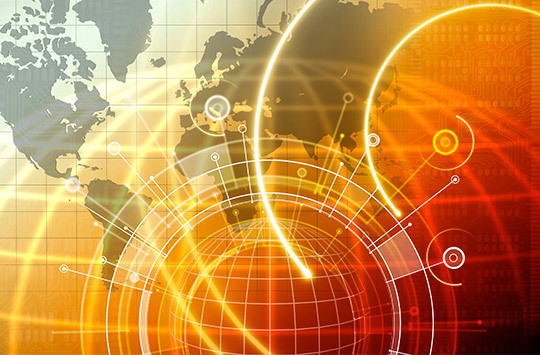 3DSearch allows for all data and metadata stored in the 3DEXPEREINCE Platform to be searched using Full-Text Search within the context of the active application. To help users sift through large amounts of results more easily: a user can select sub-categories, utilize built-in help menus, refine searches using predefined scopes, and access previously saved searches. 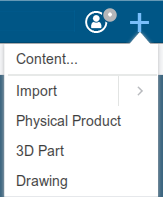 A user can also filter data by using 3DEXPERIENCE’s unique tagging system (6WTags) that categorize objects by Who, What, When, Where, Why, and How criteria. The Compass has changed from V5-6 to 3DEXPERIENCE, but by name only. 3DEXPERIENCE still has a graphic manipulator that was known as the “Compass” in CATIA V5-6. 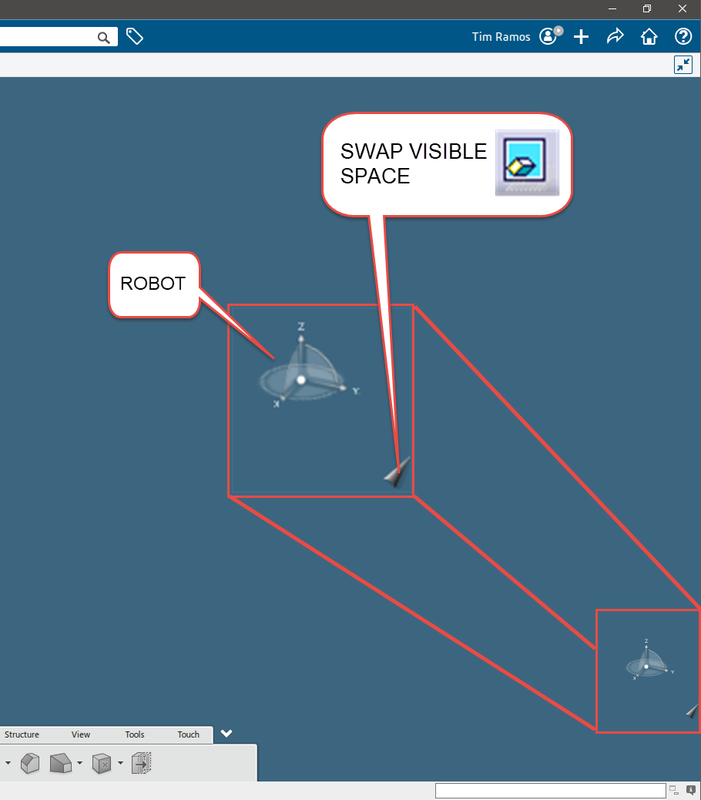 Except now it is referred to as the “Robot” and is in the bottom right of the screen next to the new “Swap Visible Space” command. To access an app, the user simply clicks the quadrant of the Compass, activates the necessary role, and chooses the desired app. CATIA V5-6 does not have the Compass, however, there are some parallels with access to the 3D Modeling commands. 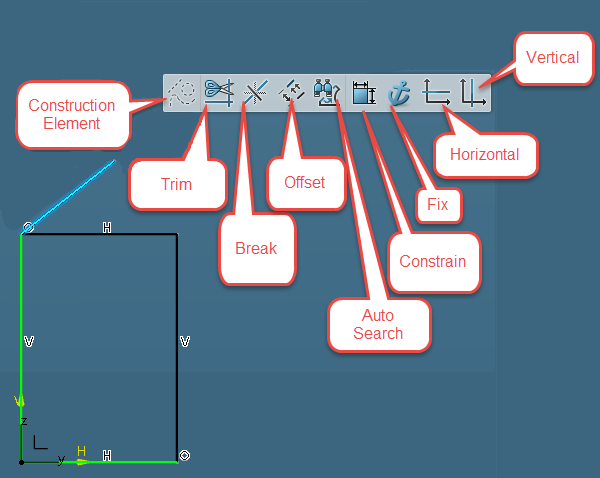 In CATIA V5-6, a command toolbar would be accessed by choosing the desired workbench from the Start menu or from the Workbench Toolbar. 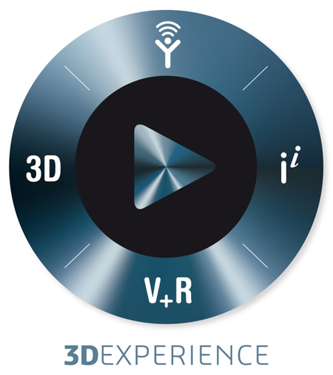 With 3DEXPERIENCE, the user will now select the desired quadrant of the Compass, select the applicable Role, and then select the applicable App. This is a slightly longer process, but is necessary to better organize all of the capabilities that 3DEXPERIENCE has to offer. If you’ve been playing along on your own 3DEPXERIENCE client, it’s become apparent that not only are the command icons larger and more intuitive, but the toolbar layout is vastly different than that of V5-6. Instead of a set of toolbars that can be shown/hidden, rotated, and moved: the toolbars which are specific to the active app are pinned to the bottom of the screen in what’s called an “Action Bar”. Each Toolbar is split according to function and categorized within a tab. Commands which are most often used in each app are placed in an “Essentials” tab for easy access. Much like a “favorites” feature. 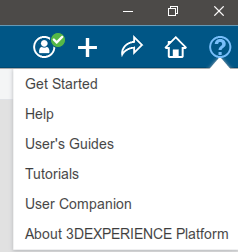 3DEXPERIENCE still gives the option to make edits to this action bar as well as create custom action bars. 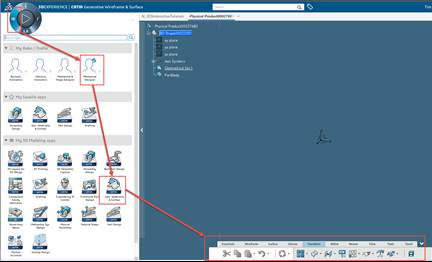 While working in 3DEXPERIENCE, selecting just about any geometry will prompt 3DEXPERIENCE to show a toolbar with commands specifically related to that geometry. For example, selecting a line in a sketch will prompt the interface to show a toolbar with commands for Construction Element, Trim, Break, Offset, Auto Search, Constrain, Fix, Horizonal, and Vertical to apply to that line. 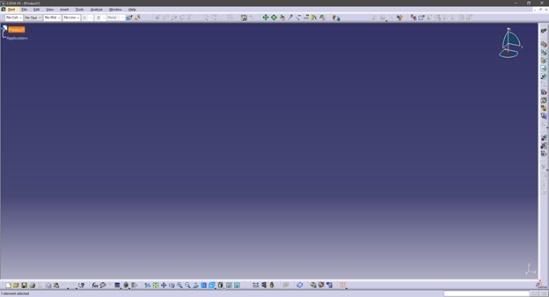 Finally, you will notice that even the command bar is more user friendly than in CATIA V5-6. 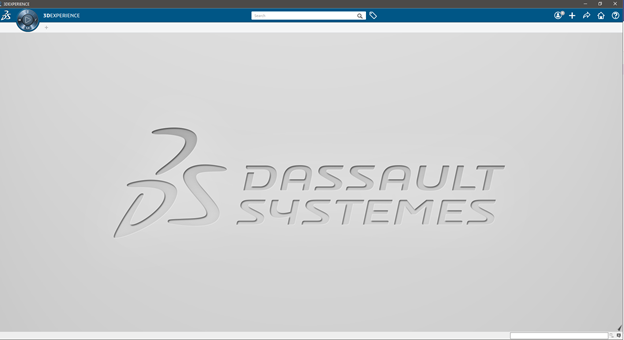 In 3DEXPERIENCE, if a command that the system does not recognize is entered, 3DEXPERIENCE will open a window with suggested commands similar to the original input. If you would like to gain a more in-depth understanding of what 3DEXPERIENCE has to offer, Inflow Technology holds regular training sessions to get you up to speed in no time.